Ken Blackwell and Bob Morrison, Contributing Authors: Israel’s Ambassador to the United States, Michael Oren, briefed Christian supporters of the Jewish state this morning. He told a hushed audience crowded into his Embassy’s Jerusalem Auditorium of a recent visit by U.S. intelligence specialists. They had asked Dr. Oren the historian to compare Israel’s situation today with other critical periods in the nation’s past. Without hesitation, he answered: In the best case scenario, it’s May, 1967. In the worst case, it’s May, 1948. May Day! May Day! That’s the international distress signal. In May, 1967, Israel had to prepare to attack Egypt, Jordan, and Syria before these neighboring states could “drive the Jews into the sea,” as Egypt’s left-leaning dictator Gamal Abdel Nasser was then exhorting Arabs to do. Nasser kicked out UN truce supervisors from the Sinai desert and he closed off the Gulf of Aqaba to sea traffic, thus blockading Israel’s southern port of Eilat. Israel responded to these acts of war with a lightning strike against all her enemies. Israel’s spectacular victory in the Six-Day War unified Jerusalem, captured the Golan Heights from Syria, and brought the West Bank regions of Judea and Samaria under Israeli rule for the first time since the days of the Bible. That’s the best case for Israel. Still pretty scary. The worst case, as the Ambassador described, it would be May, 1948. 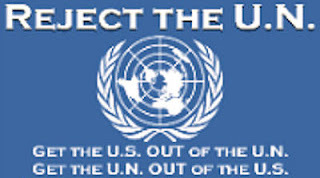 That’s when the UN-ordered partition of Palestine into Jewish and Arab states occurred. And seven Arab states—Egypt, Jordan, Syria, Iraq, Lebanon, and Saudi Arabia sent troops to exterminate the Jews. They all immediately declared their intention of wiping out the infant Jewish state. That’s when President Harry S. Truman defied his Sec. of State, George C. Marshall, and recognized Israel just 11 minutes after she declared her independence. It was that Independence Day that the Christians had come to the Israeli Embassy to celebrate. The Jews fought with the fierce determination not to allow Arabs to effect a final solution to Jewish settlement in the Mideast. Arabs were exhorted by the Grand Mufti of Jerusalem, Haj-Amin al-Husseini. This militant Muslim had spent most of World War II in Berlin, urging his fellow Muslims to support Hitler’s genocidal plans for the Jews of Europe. So much for history. The Ambassador then provided a brisk tour d‘horizon of Israel’s borders right now. Suffice it to say, this is not Mr. Rogers’ Neighborhood. For thirty years, Israel has relied on peace on her southern border with Egypt. No more. Whoever wins Egypt’s presidential election—and there have already been dozens killed in the run-up to the vote—he is unlikely to reaffirm the Camp David accords from 1978. Israel’s military recently disrupted a sophisticated terror incursion from Egypt. There are 10,000 rockets in Gaza, now controlled by the avowedly terrorist Hamas group. In Southern Lebanon, controlled by Hezbollah, there are an estimated 50,000 rockets. Syria is unraveling before our eyes. No one will miss the Assad regime in Damascus, but we do worry about the largest stash of Weapons of Mass Destruction (WMD) in the world—which Assad controls. Might Assad’s WMD fall into the hands of Hamas? Hezbollah? Who does the opposition to Assad link to? They are employing suicide bombings, which suggests they may not hanker for Westminster-style parliamentary democracy. And then we have Iran. Which supplies Hezbollah. Which supplies Hamas. Which is now the Number One terror apparatus active throughout the region and the world. Despite this truly terrifying listing of lethal threats from bloodthirsty enemies, Ambassador Oren’s presentation was brisk, unemotional, business-like. He feared not. He paid tribute to the resilience, strength, and faith of the Jewish people. And he lauded “the greatest alliance in history—that between the American people and the people of Israel. It’s little wonder that U.S. Secretary of State Al Haig referred to Israel as “the largest U.S. aircraft carrier in the world.” If the United States had to use Israel’s territory to launch a strike against Iran’s nuclear facilities, we know what the answer would be. It does not seem that this administration will strike Iran. It prefers “talks,” as if endless efforts at talks with the militant mullahs of Tehran have not brought Israel, Western Europe and the U.S. itself to the current perilous point! Why don’t we limit our talks to this one question: Will you or will you not stop your nuclear projects today? Of course, the Iranians won’t stop. Why should they? Day by day, the storm clouds gather. Day by day, this administration and the pacifists of the European Union dither. It is most unfortunate that the only American President to win the Nobel Peace Prize whose policies actually brought peace through strength was Theodore Roosevelt. It was TR who said: Walk softly but carry a Big Stick. If the United States won’t use its Big Stick, then Israel should. 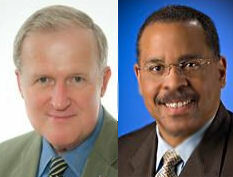 Tags: Ken Blackwell, Bob Morrison, Israel, gathering storm, Iran, To share or post to your site, click on "Post Link". Please mention / link to the ARRA News Service. Thanks!